Talk about a fairy tale romance! 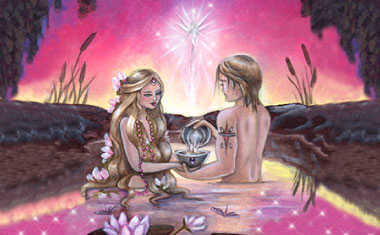 Venus, the love planet, is in a very happy place when she visits affectionate Pisces. In fact, these two get along so well that astrologers consider this an "exaltation." This is a fancy way of saying that Pisces helps Venus express the absolute best of what she represents. 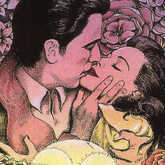 Romance doesn’t get more enchanting than when Venus is in Pisces. Pisces recognizes no boundaries, and loving Venus puts a spotlight on our relationships. Together, they perfectly exhibit an unconditional and spiritual love that transcends all physical limitations. It’s true, these two really do make an incredible cosmic couple. Want to know if YOUR Venus is in Pisces? Find out with a FREE Essential Birth Report sample now. 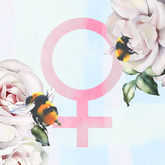 We will all be under a hypnotic love spell while Venus is in Pisces! We’ll want to fall in love, be in love, and merge with the object of our affection. It’ll easier for us to connect with our significant other when this planet moves into this sign. Pisces is all about tapping into an alternate dream world so that we can shrug off the stresses of everyday life and focus on romance. While everything seems dreamy and romantic, there is something we need to be cautious of. Venus in Pisces can fog up our judgment to the point that we overlook our partner’s flaws. Unless we’ve had plenty of time to get to know someone, this is not the best time to make a commitment. It’s easy to believe in love at first sight when Venus is in Pisces, so we need to take it slow so that we don’t end up falling in love with an illusion. Still, seeing other people in an idealistic light isn’t always a bad thing. 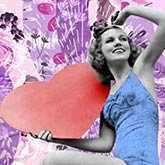 If we are in a relationship where we’ve felt nitpicky about our significant other’s shortcomings, enchanting Venus and compassionate Pisces can make us fully appreciate what we’ve got. Letting go of control allows us to have a deeper and more meaningful connection with our partner so that we can experience love in its purest form. When it comes to the money side of Venus in Pisces, it’s a great time to cultivate an imaginative or spiritual pursuit and consider how to monetize it. Venus in Pisces, however, is not about chasing the almighty dollar. This transit would rather have us doing something charitable with our gifts. Love really does conquer all for Venus in Pisces! 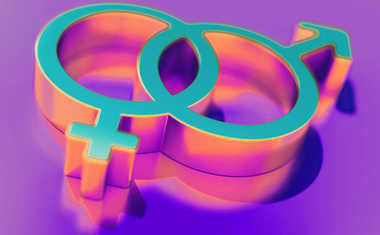 Your Pisces Venus allows you to experience the free-flowing nature of love with less hesitation or expectation, and you yearn for a deep, sensual soul mate connection. 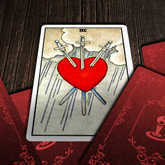 You are so idealistic about matters of the heart that it’s easy for you to ignore red flags in potential or current partners. This is the unconditional, non-judgmental love that Venus in Pisces is known for. However, this can lead to disappointment as the fantasy you build in your mind often doesn’t match the reality of who the other person is. Because your Venus is in Pisces, you are acutely aware of the suffering of others, and your compassion is nearly limitless. You love jumping in and lending a helping hand when you see that others are in need of one. Your ability to empathize with others comes from not just understanding their pain, but being able to feel it. This is both the blessing and the curse of having your Venus in Pisces. You probably spend a lot of time daydreaming because of your natal Venus in Pisces. You are a bit of an escapist, indulging in books, movies, or anything else that transports your mind to another time and place. Your Pisces Venus has gifted you with an incredibly whimsical and colorful imagination, and you most likely have an affinity for the arts. As someone with their Venus in Pisces, you like to add a touch of magic wherever you go! Pisces is ruled by Neptune, the planet of psychic sensitivity. Venus is the planet of affection and relationships. So, having your Venus in Pisces gives you a heightened ability to intuitively pick up on your lover’s every want and need. And while this can be a good thing, you often get so wrapped up in caring for your partner that you neglect to take care of yourself. Remember: self-care benefits your relationships in the long run. With 5 cards, this spread will help you find your next partner and see your romantic potential. See the most important dates for love over the next 12 months with this personalized love Astrology forecast.